The Kudankulam NPP is the largest Russian-India project in the energy sector. The second power unit of the Kudankulam nuclear power plant has been switched to the network, a source close to India’s Nuclear Energy Corporation told TASS. "The switch took place at about 11:30 local time (09:00 MSK)," the source said. In December 2014, Moscow and New Delhi signed a document on strategic vision of serial construction of nuclear power units in India by using Russian technologies. 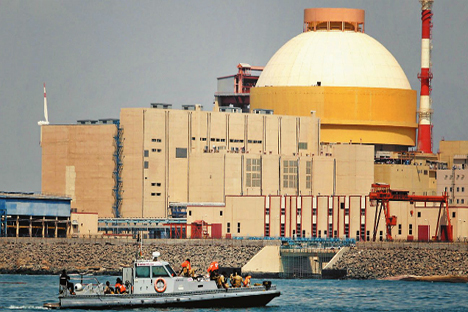 The document outlines plans for the construction of more than 12 nuclear power units in India. The Kudankulam NPP is the largest Russian-India project in the energy sector. The plant is being built in the south of India. Russia and India signed the master framework agreement for the construction of the second stage (the third and fourth power units) of the Kudankulam NPP in spring 2014. In December the same year, the sides signed documents allowing the construction to begin. In early August, Russia handed over the first power unit of Kudankulam NPP to the Indian side.